Now available for free, on my newly launched website erock3d.com, is my Free Grass System! For more information, and to download this and other free props and assets, please visit my website. NO SIGN-UP REQUIRED!! 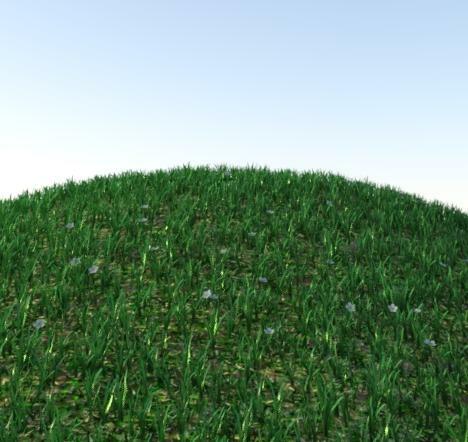 All of the grass shown in these images was created using the Erock3D Free Grass System. This is a fabulous product and an absolute steal as a freebie! It won't be too heavy on your system an you will get great results every time. And don't be put off by it being 'only' a flat plane, I mean it's free so what more do you want, because with the use of deformers you can create hills and dips if you want and it will still look great. Though you will need a separate deformer for the base and the grass because you only parent one to the other and have them both set to exactly the same values for it to work. Here is a quick (very) rough render where I pushed the deformers to a bit of an extreme just to show how for you can go but still get a good result. Seriously though the product is MUCH better than I make it look here! LOL Remember to pick up the free pack of Grass Flowers too. Thanks so much for this Erock3D, you do indeed ROCK!! For some reason when I load the base in there arent any textures applied, and if I try to add manually nothing happens. Coolio! Now to get on the computer to try it out! Thank you erock3d, great freebies! Can't wait to play with them. I'll check this out when I get home. Thanks. Did a quick test on the square and it worked beautifully. I'm going to have so much fun with this. Thank you! Hmm.. Did you receive any error messages stating that there were missing files? Do the grass props themselves load for you? And if so, if zoomed in close, are the grass blades just rectangles? The reason I ask is because I'm trying to determine if the textures were installed correctly. The grass blades are transmapped, so if they do load correctly then the textures should have installed fine. (See image below.) If not, then the texture directory is in the wrong place. This is really the only thing I can think of that would cause the base textures not to load with the base plane. Out of curiosity are you running Daz Studio on a PC or a MAC? I've not used Studio on a Mac, so I'm not familiar with there being any possible differences on the install that would be different from a PC. Please let me know if this is the issue or not. No one else has mentioned having any problems so far, so I want to make sure it gets fixed if there is an issue on my end. My computer is acting up but I am doing a test render with this. Hopefully I can show it soon. Theres no grass blades, when I load the base plane (or any othe of the props) all that shows up is a plane with. I made sure everything is in the correct folders as well. And i'm using Daz on PC, so it can't be that. So, it's not even actually loading the plane then. Just the bounding box for the prop. I was able to recreate your exact error. It must have something to do with how you installed it. In the Free Grass System ZIP archive file you downloaded there should be three folders; Data, Props, and Runtime. The contents in these folders needs to be placed into these same respective folders in your My DAZ 3D Library main folder. So everything in the Data folder in the ZIP archive needs to be placed with the exact same directory structure as in your My DAZ 3D Library folder. In your current "My DAZ 3D Library/data/" folder you should already have a bunch of folders with various Vendor/Artist names. 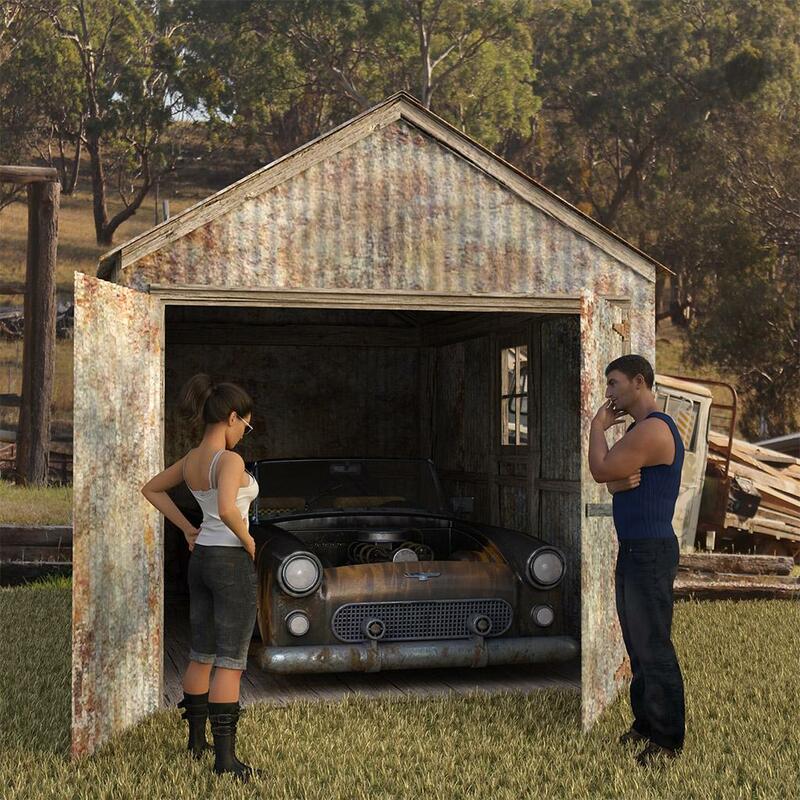 The "Erock3D" folder located in the "data" folder in the ZIP archive needs to be placed into your "My DAZ 3D Library/data/" folder among the folders for the other vendors already there. Same thing with the Props folder and the Runtime folder. This looks great, just found out about your site. Downloaded to give it a try, thanks! Ok re-installing seems to have worked, I guess something installed wrong when I did it the first time. Thank you so much for your generosity! Installed with no issues at all. I am rendering a promo image now with your system and the grass looks beautiful! I got this and the outhouse and the little flowers but wanted to support you with getting the dandilions but there is no PayPal option. This looks great I downloaded it and going to check it out once I get a chance tonight will post it when done! Here's a render I was working on but couldn't get the background image working on the ground so replaced it with your grass. Even found a good colour match for dry Aussie grass. Does anyone know if this will work with the Iray to 3Delight I recently bought? My system can't handle Iray and I would love to be able to use this grass, it looks great. Just select the grass surfaces and use the "Default" 3DL shader to it, it will convert that way. You may have to adjust the specular settings to your liking but it should work fine! Many thanks this is simply wonderful!